In most homes, energy bills run considerably high during colder months as the need to heat the home and water becomes necessary. And as energy prices are rising day by day, it means increasing the expenditure on utility bills. The best way to combat this is by opting for the limitless green energy provided by the sun, which can be easily converted into heat for proper utilization. Moreover, using alternative energy is a sure shot way to reduce the carbon footprint of your house. Here are five great heating and cooling technologies that you can use this fall without affecting Mother Nature. Perhaps one of the best ways to ensure that your home remains water and energy efficient this fall is through the use of a passive solar home design. Put simply, it is a design that aims to let in the winter sun and keep out the summer sun while ensuring the home’s overall thermal performance retains that heat in colder weather but excludes it and allows it to escape during warmer months. While it is the least expensive way to heat your house this season, it is important to note that the design also depends on active, informed occupants who make sure to open and close windows and isolate zone spaces every day. Overall, passive solar design maximizes winter heat gain, minimizes winter heat loss, and concentrates heating where most needed. The sun is the ultimate source of green energy. Moreover, as it is constant and renewable, it is not going to run out anytime soon. Use it to your advantage by powering all of the various cooling and heating systems in your home. While they may be a little expensive at the time of installation, you can almost guarantee that they will save you tons of cash over the years. The two best ways to utilize this renewable resource is through solar powered air conditioners and solar water heaters. Both these systems will reduce your carbon footprint to a great extent! Utilizing ventilation systems or fans is a great way to make your house both comfortable and energy efficient. They help to move air into your house and provide continuous freshness regardless of the weather, and without the need to open windows and doors. While there are many options to choose from, we recommend passive home ventilation and whole house fans as the best value for your money. Earth is brimming with a limitless source of energy called geothermal energy. So, why not use it to your advantage by installing a geo-exchange cooling and heating system. It uses the consistent temperature of the earth to provide cooling, heating, and hot weather for interior spaces. Components of this system include a hydronic pump, a heat pump, a distribution subsystem, and a ground heat exchanger. Most geo-exchange systems utilize air ducting for the distribution system and polyethylene pipes in the earth for the heat exchanger. Just like solar powered systems, it may be a little expensive up front, but savings on utility bills over the years guarantee to recoup the initial investment. 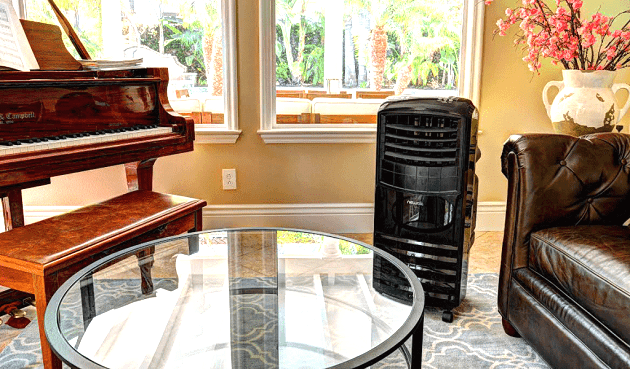 If you live in an area that is both dry and hot like the Southwest United States, evaporative coolers are a great alternative to air conditioning. Not only are they energy efficient and lower costing than their refrigerated air conditioning counterparts, they also bring in moisture to the air, which helps to keep things from drying out completely. Also known as swamp coolers, they produce effective cooling by combining a natural process (water evaporation) with a simple, consistent air moving system. Fresh air from outside is pulled through moist pads, where it is cooled and circulated through the interiors by a large blower. This system can lower the temperature of the outside air by as much as thirty degrees. With rising energy prices, it’s not surprising that you are looking for efficient ways to heat and cool your home and reduce your carbon footprint. 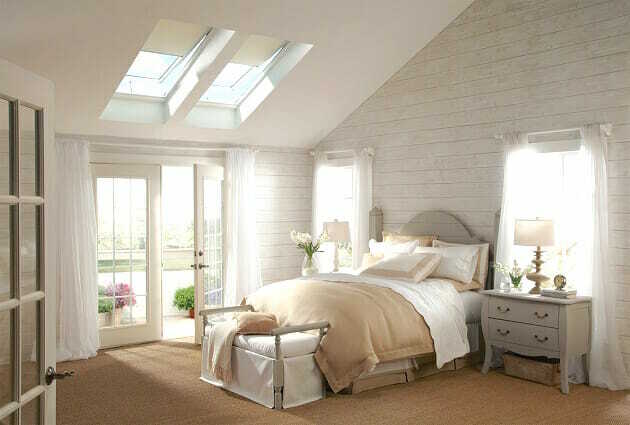 In fact, it’s a great idea to opt for green energy sources for heating and cooling your interiors. Depending upon the suitable climatic conditions in your region and availability of natural resources, you can choose from any of the above alternative energy options and help yourself and Mother Earth. 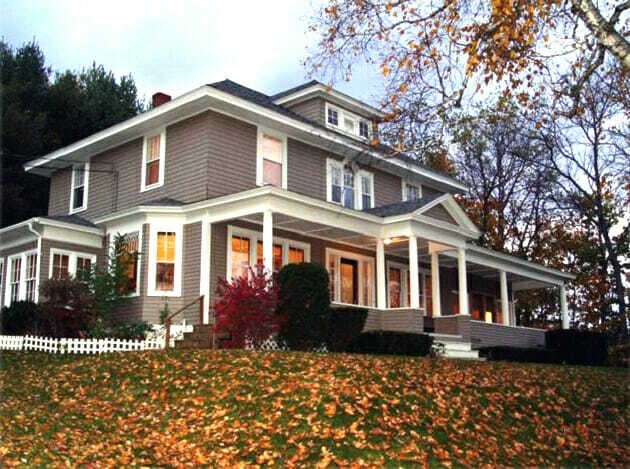 Which other eco-friendly ways do you plan to use to warm up your house this fall?